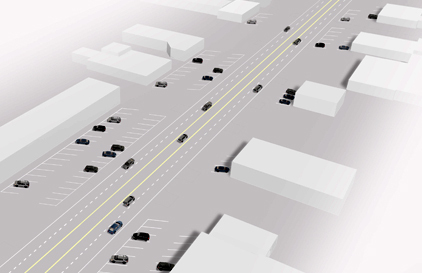 "West Florissant Ave. has long been a street that serves motorized vehicles well. In recent years there has been increasing need to do more than that - local communities along this corridor need also to be able to walk, bus, bike, and live." The plan is one of resiliency.The printed document is a road map, and multi-jurisdictional collaboration ensures long-term commitment. Creating a community that is more connected, safe, and accessible for all users. Three community advisory committee meetings and two rounds of public workshops helped set priorities for each of the five zones. 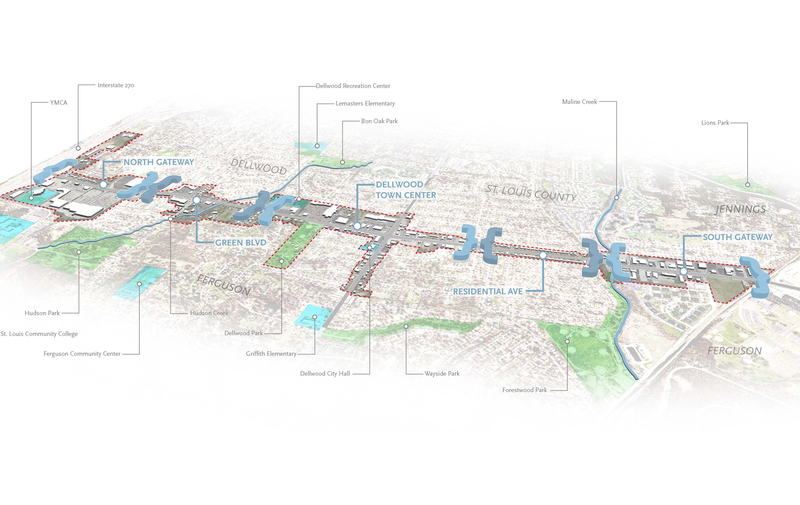 The plan encourages a more walkable and transit-based community accommodating all users and mode shifts. 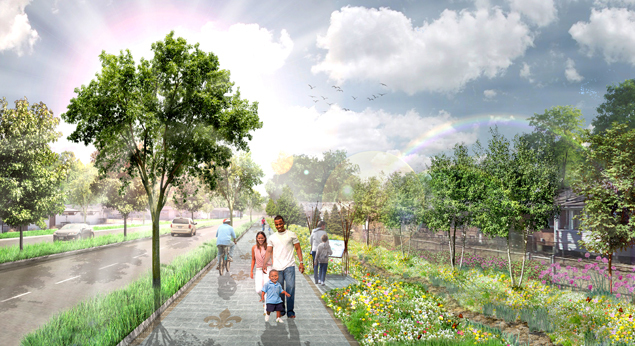 A verdant residential corridor is enhanced by natural amenities, reinforced by stormwater management and a multi-use path. 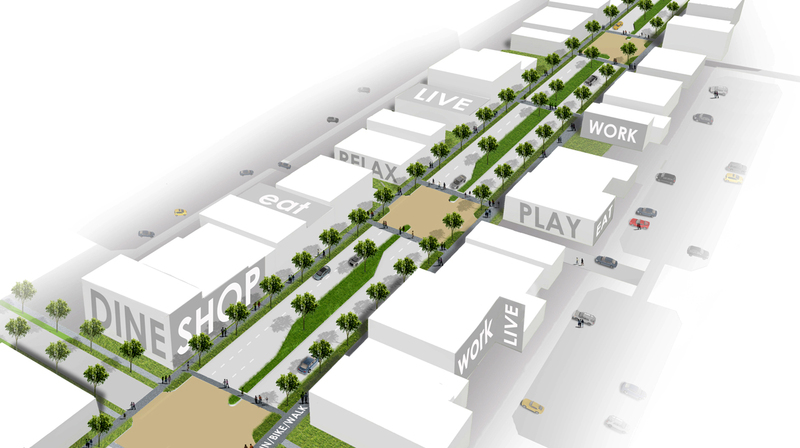 A major corridor re-imagined using the full eight principles of the Great Streets Initiative. West Florissant Avenue, in North St. Louis County, has long been a street that serves motorized vehicles well. In recent years there has been increasing need to do more than that, and many see the corridor as their only central place for shopping, meeting neighbors, and economic development. 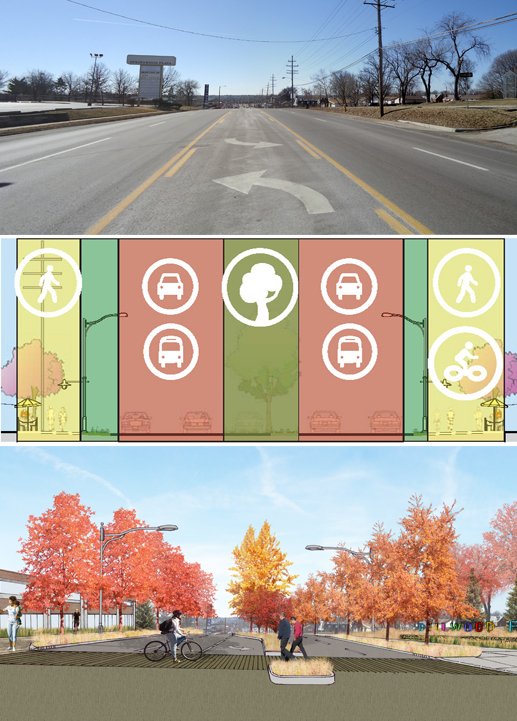 The project aimed to re-imagine West Florissant Avenue to help improve economic conditions, create an attractive sense of place, and help vehicles, bicyclists and people move safely through the corridor. 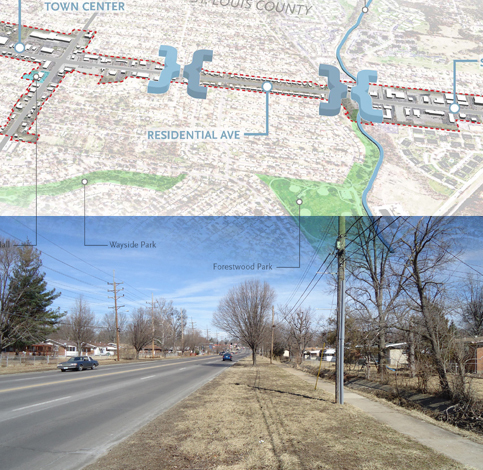 West Florissant Avenue connects neighborhoods, institutions, parks and town center areas with safe and attractive linkages for pedestrians, cyclists, vehicles and transit. 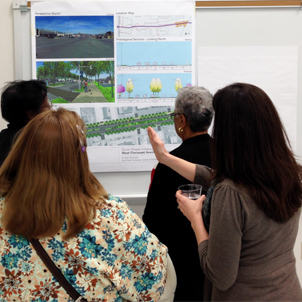 The design of the street brings a cohesive image and identity to Dellwood and Ferguson. Civic places and walkable areas define the heart of the community. This Great Street offers a healthy lifestyle not solely dependent on cars and benefits from rich sustainable landscapes and natural features. 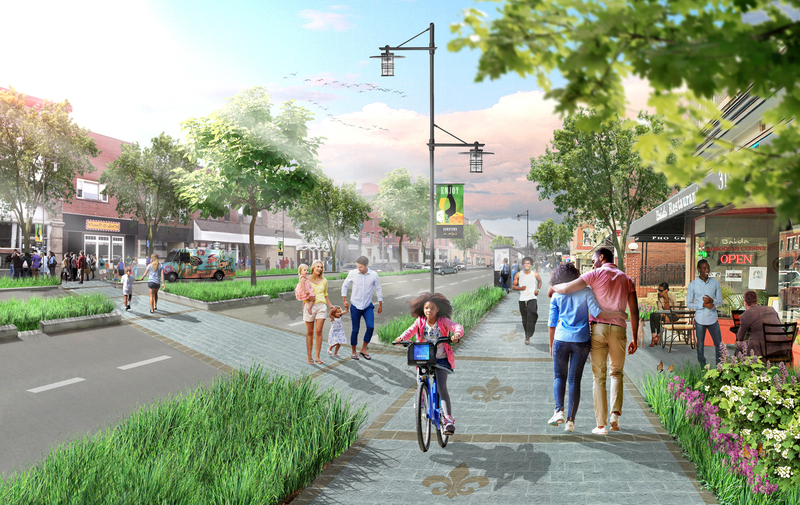 The street’s future development is the reflection of strong collaboration among Dellwood, Ferguson, and St. Louis County.  "We explored opportunities of 'what could come' by developing the groundwork for trust and public commitment in the community. This plan continues to be about positive change. It’s a story of resiliency."